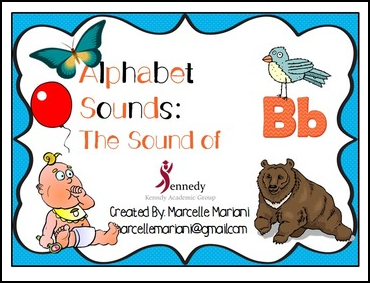 This file contains a NARRATIVE powerpoint for letter B as well as a printer friendly (low ink) vocabulary cards for letter B, which can be printed as posters, or scaled down to print as flashcards. The powerpoint has a built in voice that narrates the slides when you press click. You of course can turn the volume down if you do not like the voice narration and use this as a regular powerpoint to teach the letter B. This is my latest creation. I am working on a complete set of 26 powerpoint presentations covering letters A-Z. If you enjoyed this FREE product, please follow for an update of more to come. I will be bundling these together- ALL 26 presentations into ONE complete BUNDLE. I originally designed this to be used in EFL settings, since I now work in the middle east (Dubai) but I feel it can benefit Preschool and Kindergarten students from all parts of the world. NOTE: The narration in the presentation is AMERICAN ENGLISH. I hope you enjoy this product. I will be posting 2 free products every month, so please tune in for these.